Self Service Cloud Computing allows UCSC faculty, staff, and students (with a faculty/staff sponsor) to order, provision, and use computing resources from an approved cloud services provider. That approved provider for UCSC is Amazon Web Services. AWS also offers a free usage tier! To learn more about this program and to understand its limits, visit: AWS Free Usage Tier. All new AWS accounts atomatically signed up for the free usage tier for 12 months. During this period, you can still track your free-tier usage, and set up billing alarms so you'll know if your account exceeds the limits of the free tier. Except for the free usage tier, AWS charges for use of their services, usually by the hour or any part of an hour that a service is used. AWS provides many different price tiers, and many ways to reduce your costs. You can set up your AWS account using either a UCSC Pro-Card or Purchase Order. You might want to consult with your local financial person to see if they have a preference; either method will require processing a monthly bill. Both the Purchase Order method (automatically) and the Pro-Card method (by request) can be covered by the University of California terms and conditions. The workflow for each method is defined below. Determine the dollar amount of your PO and the FOAPAL you want to use. Be sure to use your @ucsc.edu email address. NOTE: If you use your UCSC account for your personal Amazon.com account, you will want to change that email address to a non-ucsc account on your personal Amazon.com account. You may also use a plus in the account address, for example cruzid+aws@ucsc.edu for your AWS account. AWS will assign you a twelve-digit account number; be sure to make a note of it. Create a requisition in CruzBuy using the Blanket PO Request form, including your AWS twelve-digit account number as an external note. Procurement will review and approve the requisition, then create a purchase order and distribute it to AWS. This provides AWS with the information required to set up the account for PO invoicing. AWS will set up the account up for PO invoicing, and confirm when your account is ready to go. This confirmation will be sent to the email address that was used to set up the account. This may take a couple of days after the PO has been issued. Each month, AWS will send an invoice to FAST, and FAST will pay AWS. If you have more than one account, or want to track or pay for different services with different FOAPALs, it is recommended that you set up a separate PO for each. Need more help? 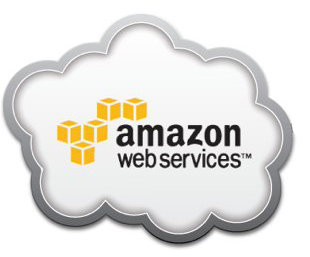 Contact Procurement Services for more information about ordering AWS services. Be sure to use your @ucsc.edu email address. You will also need to enter your Pro-Card information and bill-to address. Send an email to aws-uc-procurement@amazon.com to request that your account should be covered by the UC AWS Enterprise Agreement terms. Your email must include your AWS twelve-digit account number. Each month, AWS will charge your Pro-Card but will not send a detailed invoice; you can get these details through the AWS management console, and set up billing alerts there as well. AWS has a "shared responsibility model" for information security and compliance. Because you're building systems on top of the AWS cloud infrastructure, the security responsibilities will be shared: AWS has secured the underlying infrastructure and you must secure anything you put on the infrastructure. This means that there are several security decisions you need to make and controls you must configure. For information on how to configure a particular AWS service, see the documentation for that service. If you're not comfortable taking on these responsibilities, consult with your ITS Divisional Liaison or consider using the Managed Cloud Services model instead. Amazon Web Services offers a complete set of infrastructure and application services that enable you to run virtually everything in the cloud: from enterprise applications and big data projects to social games and mobile apps. Amazon Web Services provides IT infrastructure services including Elastic Compute Cloud (EC2), Simple Storage (S3), and Elastic MapReduce. ﻿AWS Support - Need Help?